The Army's 10th Mountain Division, developed during World War II for combat missions in the mountains of northern Italy, evolved into ski patrols as we know them today. Far-reaching and nuanced, the job of a ski patroller combines long days, physically demanding work in high alpine environments, and the ability to respond to complex medical emergencies. In Colorado, ski patrol has grown from a volunteer operation to a professional workforce—incorporating advancements in lifesaving techniques, avalanche forecasting, and specialized guest services. Relying heavily on their fellow patrollers, life-long friendships are forged on the mountain and often embellished in legendary tales—many of which are shared within. 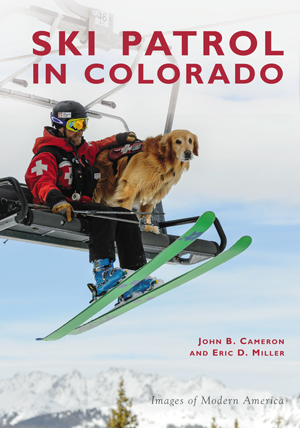 By winter, John B. Cameron is a ski patroller in Colorado, but during the off-season he is a writer and journalist. Eric D. Miller is a flight nurse, member of the Air National Guard, and a volunteer Advanced Life Support provider for a ski patrol in Colorado. Cameron and Miller began swapping stories and sharing old photographs, which ultimately led them to network with fellow patrollers for images and interviews used in this pictorial history.